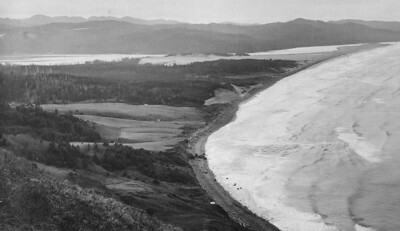 Neahkahnie began in 1909 as a resort planned by S G Reed. 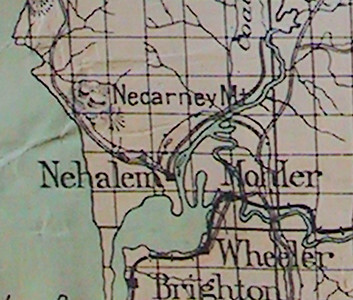 Maps and other records during the 19th century called the mountain Necarney. 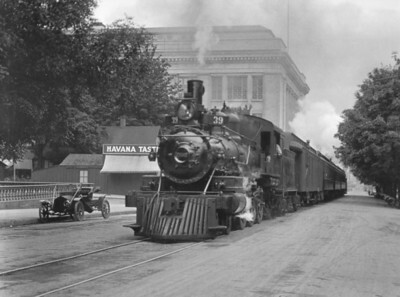 In 1909, developer Sam Reed used the word Neah-Kah-Nie in his advertising brochure. The new name stuck. 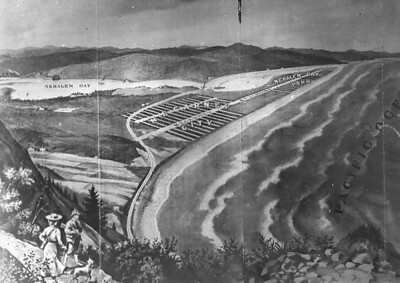 The new railroad would bring tourists to the Nehalem Bay area, where they could buy lots and build summer homes. Real estate fever began in 1909. 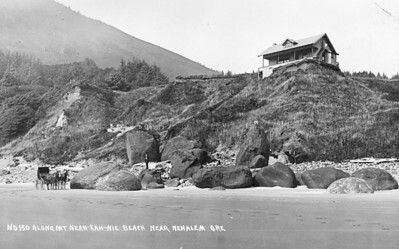 To promote an elegant resort instead of a tent city, developer Sam Reed began building the Neahkahnie Tavern. 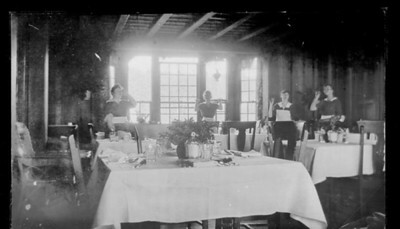 The tavern dining room featured produce from the garden out back. 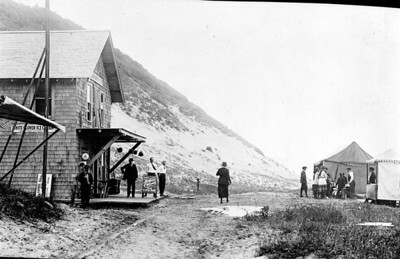 The Anderson store near the foot of Classic Ridge was also the end of the road. 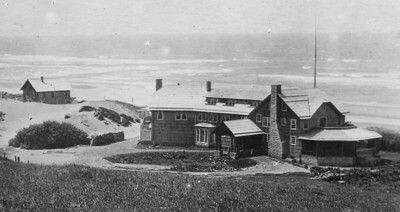 Until the late 1940s, Classic Ridge was a dune extending onto the beach. 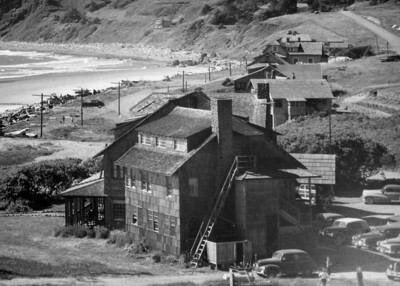 This image from the 1930s shows relatively little development in Neahkahnie after its first twenty years. 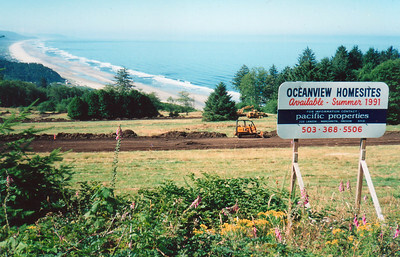 Note early development in Manzanita on the far side of Classic Ridge. 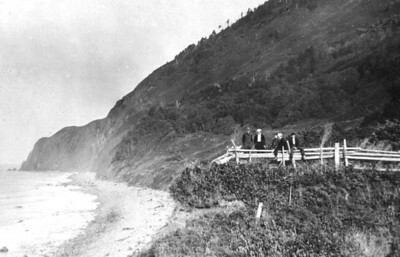 The road in front of Classic Ridge connecting Neahkahnie with Manzanita wasn't built until 1948. After the golf course closed in the 1980s, developers bought the land for homesites. 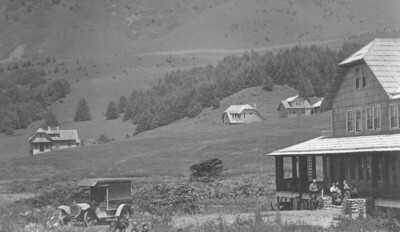 This photo taken 1902 shows only one small shack near today's Reed Road. 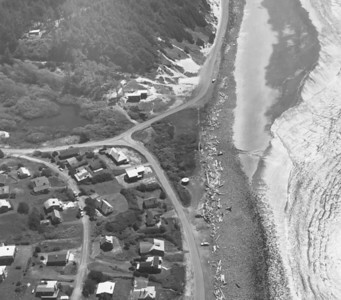 For 50 years the slopes of Neahkahnie had already been cleared to pasture cattle and sheep. 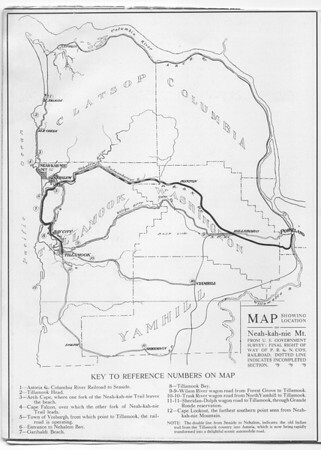 The railroad led to development along the the north coast from Neahkahnie Mountain south to Cape Meares. This map appeared in the brochure selling lots in Neahkahnie, "the finest resort on the Oregon coast." 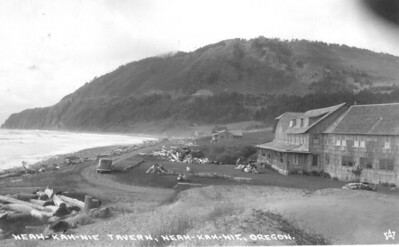 When finished in 1912, the Neahkahnie Tavern attracted guests from all over the northwest. 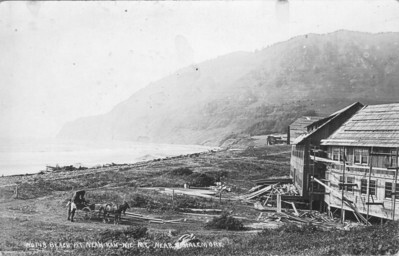 The Neahkahnie Tavern was located where Nehalem Road meets Ocean Road -- the triangle in the middle of this image. The building burned in 1956. 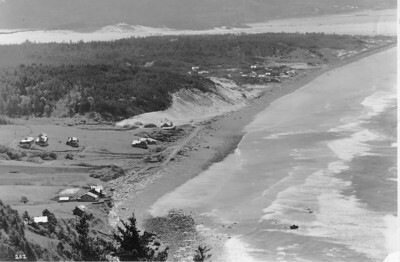 The level of sand on the beach was much lower before completion of the jetties at the end of Nehalem Bay. The U S Army Corps of Engineers finished the jetties in 1918. This image from one of the tavern's last years reflects the growing community of the 1950s. Grazing sheep kept the south face of the mountain itself almost barren of trees. 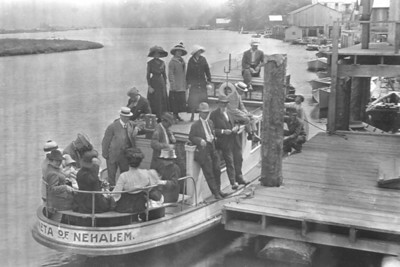 Visitors got off the train in Wheeler to ride the ferry across the bay to Nehalem. 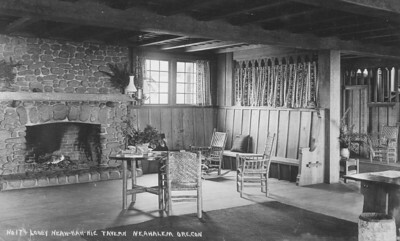 Lodging at the tavern also invited guests to consider buying a site for a summer cottage. 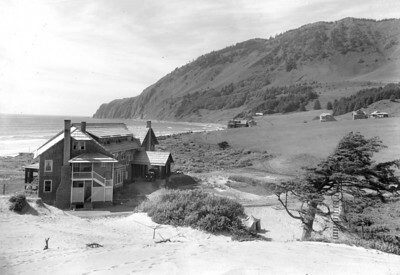 In the early years, and until the 1950s, there was ample space on the dune for a road in front of the tavern. 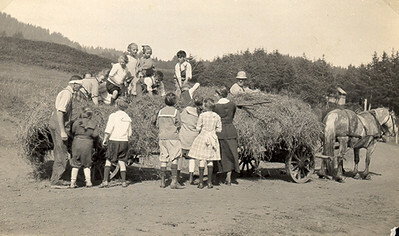 Summer days at the tavern often included hay rides. 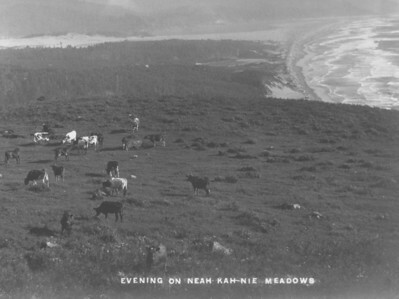 From about 1860 until 1905, cattle grazed on Neahkahnie Meadows. 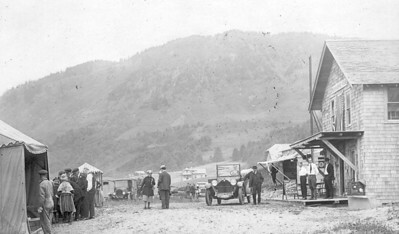 Early photos show the trail around the front of the mountain. Indians used the trail for centuries. Whites started using it in the 1840s. Construction and rock protection of Highway 101 have obliterated all but one short portion of the original trail. 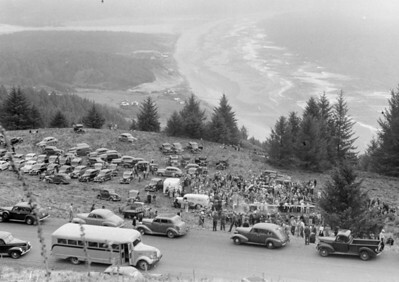 In Nehalem, visitors boarded the auto stage for the ride to the new resorts of Neahkahnie, Classic Ridge and Manzanita. 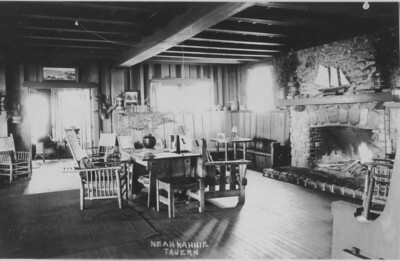 Inside the lobby of the Neahkahnie Tavern. The Anderson store lay just south of the tavern. Hikers lined up for drinking water from Pirates Springs. The springs still flow today near the end of James Road. Developer Sam Reed exchanged sheep for cattle. 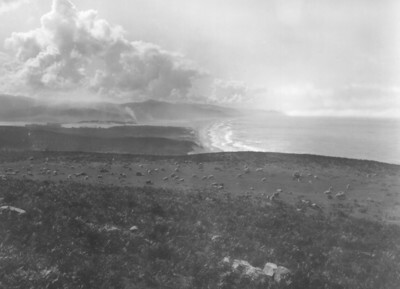 Sheep grazed the meadows until Reed's death in 1942. 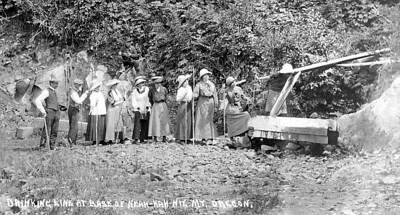 Portland businessmen began planning resort developments from Neahkahnie south to Tillamook when they learned of railroad construction to serve the area. Early visitors stayed in tents rented from nearby residents. 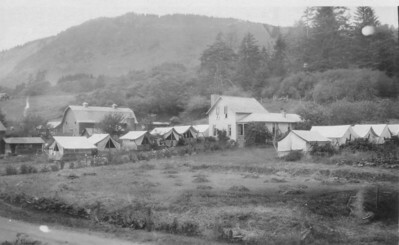 The "campground" above was on Nehalem Road about a quarter mile from the beach. The lobby featured a huge fireplace created from stones hauled from the beach. Tavern guests found necessities and treats at the nearby store. 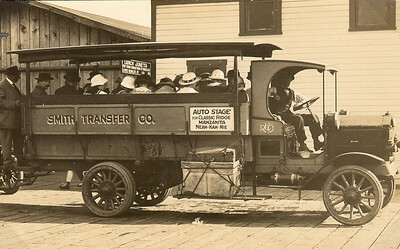 The ever-popular group photo, this one from 1912. Developer Sam Reed in the bow tie, his wife Buelah in the right foreground admiring their twin daughters. Older daughter Marion waves from the back row. 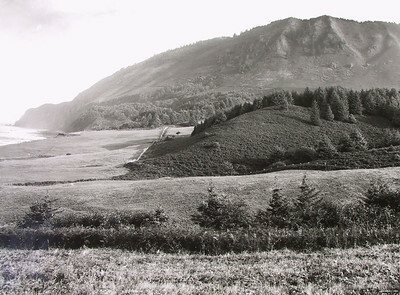 In the early 1950s, Neahkahnie Meadows become a nine-hole golf course. 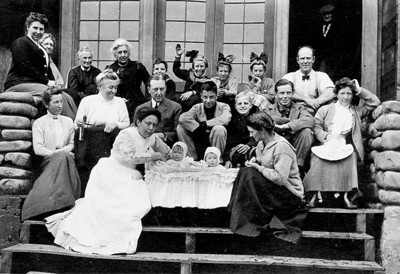 This image captures a community picnic held before course development began.